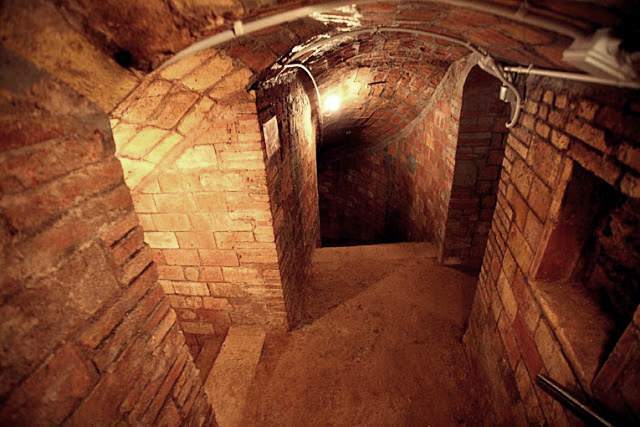 Before being the metropolis we know, Barcelona was a walled city and its environment was rural. 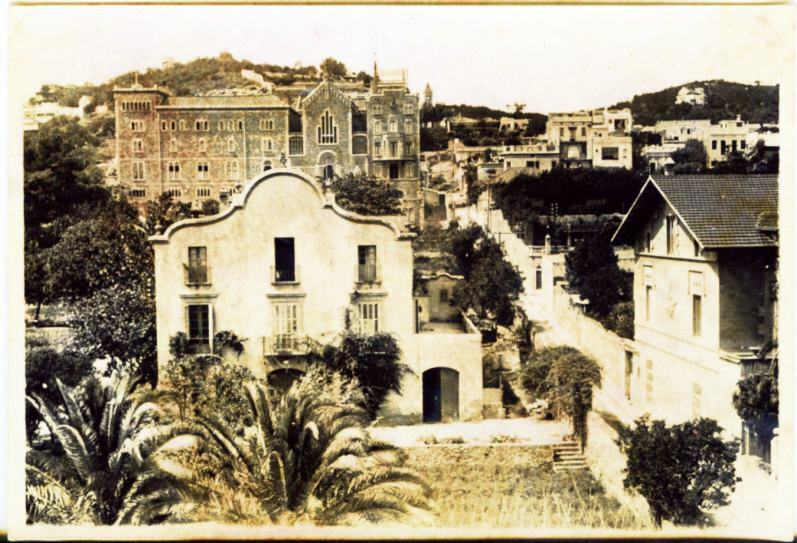 The farmhouses or country houses of that environment were grouped into villages or “vilas” and one of the most developed was the Vila de Gràcia. Little by little the city was absorbing it, but it never lost its charm. 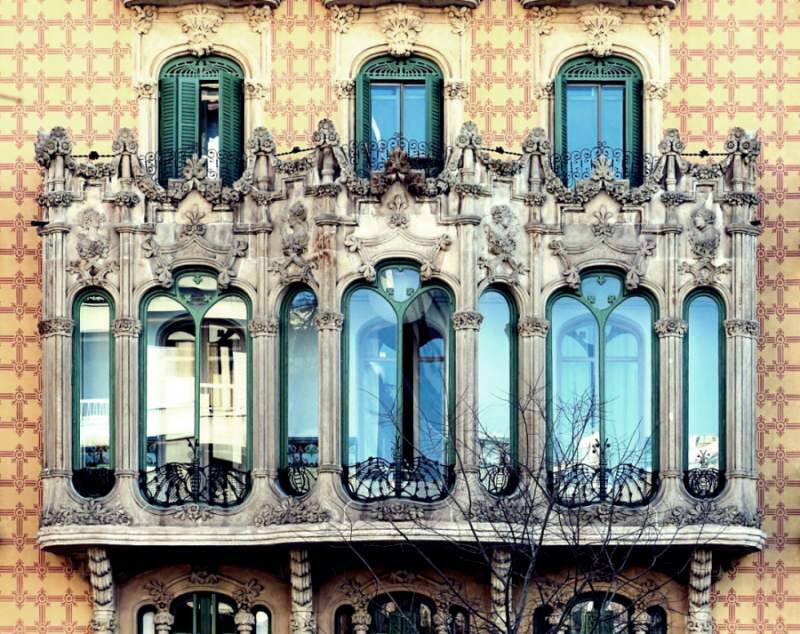 On the contrary, today it is one of the most attractive neighborhoods in Barcelona with its bohemian and multicultural mix. There is a festival that “disguise” the streets every August and give to the neighborhood its own identity. Actually, their inhabitants claim and protect the neighborhood’s DNA in a thousand activities. In these times it is interesting to remember that Gracia, in the 19th century, managed to be independent three times. We invite you to visit a “little Barcelona” of the XVII century, in the XXI century. Follow us !!! Still today we can see some facade of the old farmhouses that formed the parish of Gràcia in 1620: Can Tusquets, Can Xipreret, Can Canet de la Riera, headquarters of the current Royal Tennis Club of Barcelona, ​​Can Mora … Many are real gems of neoclassical style. There were several parishes and several religious convents. The place was very beautiful, so much so that over time some bourgeois families from Barcelona built their second summer residence here. There are many streets that are called Torrente de … (Torrent de l’Olla, Torrent d’en Vidalet, Torrent de les Flors …) in memory of the streams and streams that crossed the farmland. But the street that ended up being imposed was the one that went straight to the center of the city. 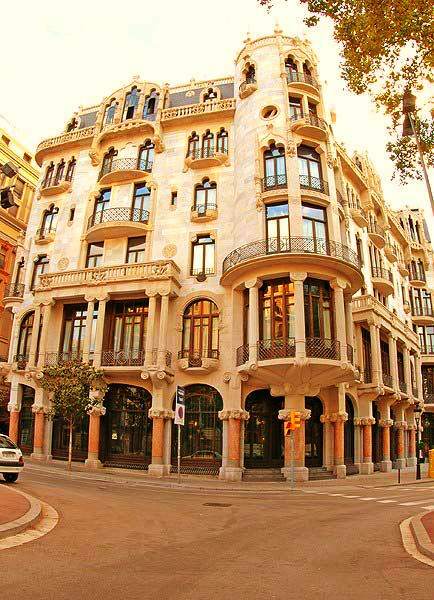 Today it is hard to imagine, but that street called Paseo de Gracia and is full of luxury shops. Today Gracia is a family neighborhood as well as bohemian. Its squares stand out: Plaça Rius i Taulet where the old city hall is, the republican Plaça de la Revolució, the spacious Plaça del Sol, Plaça del Diamant that gives title to the novel by the writer Mercè Rodoreda and that reminds her protagonist, La Colometa , with a beautiful sculpture, the very beautiful Plaça del Poble Romaní and Plaça del Raspall, the familiar Plaça Rovira i Trias with its sculpture by the famous architect whose urban plan for Barcelona was defeated by that of Cerdá. The offer of bars, taverns, old wineries, new wine shops and restaurants must be discovered little by little because it is overwhelming. Classics with its offer of market cuisine, those of Catalan cuisine to eat grilled meat with caliu potatoes, calçots or torrades de pa amb tomaquet and sausages, bars with tasty tapas and homemade restaurants have seen how make their way design cuisine restaurants, cup cakes cafes, vegan restaurants, chic cocktail bars, … and, of course, restaurants serving world food as befits such a cosmopolitan neighborhood. Enjoy the most varied cuisine at any time of the day or night, any day of the year. And do not forget about the vermouth! But if you coincide with the neighborhood festival, you will be amazed! 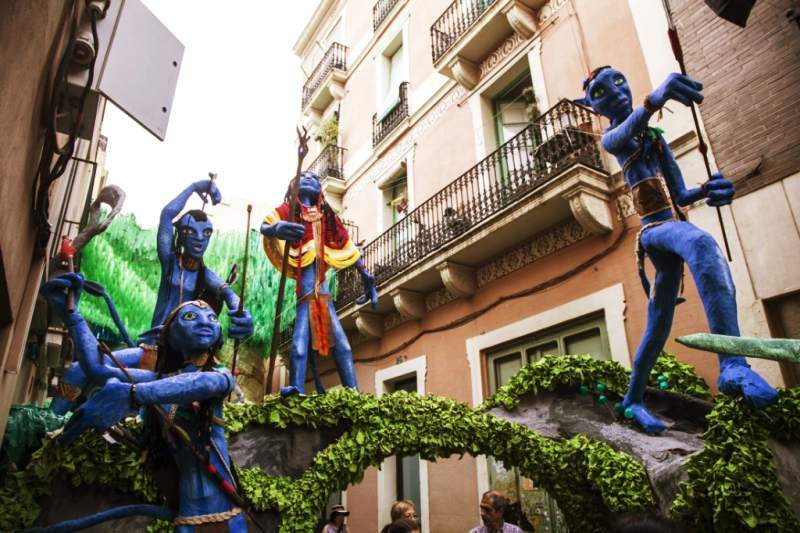 The food and drink goes out onto the streets decorated with thematic scenographies in which all the neighbors cooperate. The streets compete with each other, there are several prizes and categories and after a week of celebrations it ends with dinners of “germanor” and concerts of all kinds of music. Besides having one of the most emblematic cinemas in the city for its art and essay projections, the Verdi cinema, and different theaters (the Teatreneu, the Almería, the Teatre Lliure, founded in 1976 in the former headquarters from the Cooperativa La Lleialtat, the Jove Teatre Regina and several rooms dedicated to micro theater), here many of the design stores, workshops and exhibition halls of Barcelona open their doors. 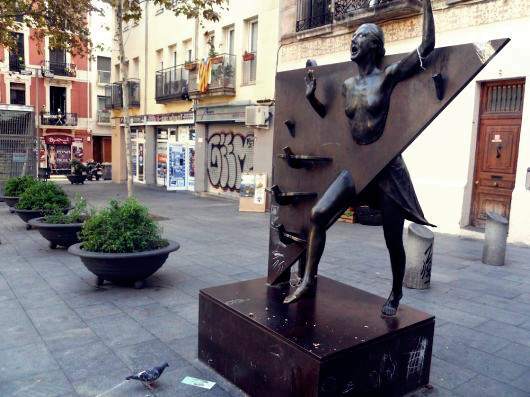 But if it were not enough, several of these streets and squares are linked to flamenco and rumba and, consequently, to the history of the gypsy people in Barcelona: the Plaça del Raspall and the Poble Romaní are the nucleus of a community perfectly integrated in the neighborhood to the point that it is spoken of the Catalan gypsy whose maximum musical exponents are the great Peret and Antonio González, the Pescadilla, guitarist rumbero and husband of the famous folklore Lola Flores. Anecdote: In the street Encarnació of this district is the Teatre Més Petit del Món. It is located on the ground floor of a farmhouse from 1890 and offers theatrical shows and other private events. The rural world made a great change with the industrialization of the 19th century and Grace was not immune to this change. Many workshops and many printing presses flourished here. The social worker fabric favored frequent movements of protest and solidarity and this is something that still breathes in the environment. Hippies, hipsters, ecologists, anarcos … or a mixture of all forms part of the neighborhood coexistence. The youth has found in Gracia an alternative territory of its own and that has become one of its charms. Not in vain is the Tradicionarius Music Festival and other events for people … free. In the district of Gràcia it seems small, but it extends to the upper part of the city and touches the walls of Park Güell, the gardens of the industrial Eusebi Güell made by the creative imagination of Antoni Gaudí. One of the most beautiful buildings of Gaudí is in Gracia, and for a long time it went unnoticed in the small street of the Carolinas, where there was a convent the nuns of this name, and that recently has been opened to the public is the Casa Vicens, covered with green, white and yellow tiles that today are like the memory of an old garden and a rainbow fountain that time has made disappear. Another manorial and singular building the Cases Ramos in the Plaça Lesseps, a wonderful construction of the early twentieth century by the architect Jaume Torres i Grau (1906), which we mention as a curious fact, is one of the scenarios of Pedro Almodóvar’s film “Everything about my mother” (1999). Anecdote: A part of the neighborhood was occupied by important jewelers with political connections in the Town Hall, such as Josep Rosell i Imbert, a jeweler who, in 1850, had the idea of ​​baptizing with names of precious stones the streets and squares that still exist: street of the Pearl, of the Gold, Topacio street and the place of the Diamant. Let’s get serious for a moment. Some other construction of the neighborhood reminds us of the bitter stage of the Civil War that harshly punished the city. Some points of grace were aviation objectives because of the number of small factories that had been established in them. The civilian population was hiding from the bombs distributed among more than 90 shelters enabled for it. 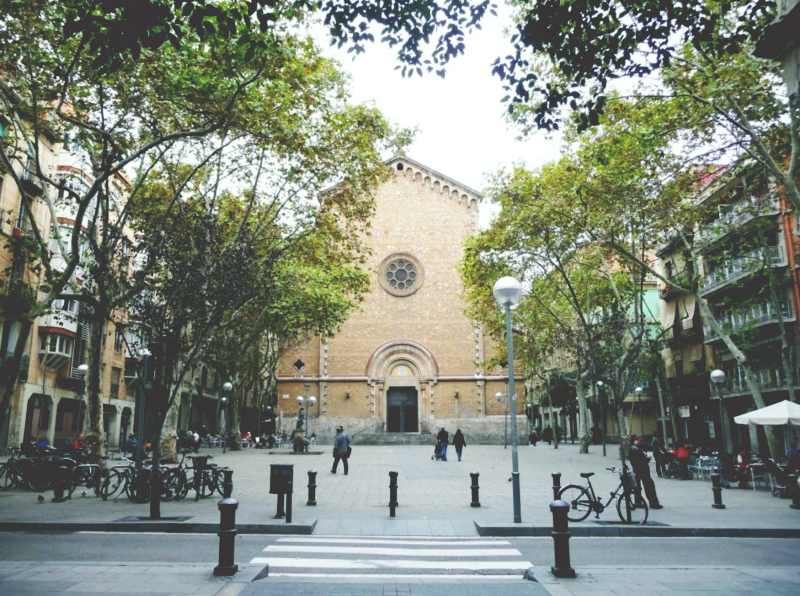 The Plaça del Diamant is one of the largest and a guided tour of its underground interiors is essential to honor the memory of the poor people who lived a war or live in the present. But the “barri” of Gràcia is very “barri” and can not end here. Within the series of the small Barcelonas soon we will talk about other very original points that are visited in the tours of Barcelonina: Vallcarca and the Putxet joined to the city by a viaduct with a lot of history. See you soon, kind readers.